Mohamed Mahmoud Khalil was one of the public figures who significantly affected the fine arts movement during the second quarter of the 20 th century. He was born in 1877 and died in 1953. In 1901, he went to France to study the Law at the Sorbone university. In 1903, he married Ms. Emiline Lock, who was studying music in Paris's Conservatory. She shared his interests in fine arts, especially painting. 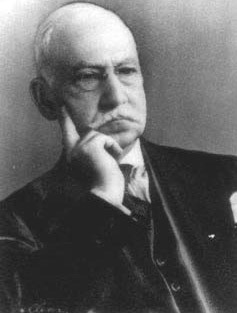 In 1937, he supervised the Egyptian pavilion in the International Exhibition of Paris. From 1938-1940, he was the chairman of the Egyptian Senate Council. Mr. Khalil and Prince Youssef Kamal co-established the Society of Fine Arts Lovers, and Mr. Khalil became the chairman of the society from 1942 to 1952. In 1960 , his wife died after donating the palace and its contents of masterpieces and rare artifacts to the State to become a museum, carrying the name of Mahmoud Mohamed Khalil and his wife . Mohamed Mahmoud Khalils palace was constructed in Giza around 1920, on the French style (Ardico), which was well known in France at that time. The eastern side of the palace, overlooking the Nile, carries some features of the (Arnoveau) Style that appeared in France in 1875, as evident from the metal and glass skeleton above the entrance of the palace. The surface area of the palace is 1400 squared meters, and the palace has four levels. The palace was inaugurated for the first time as a museum on July 23rd,1962. 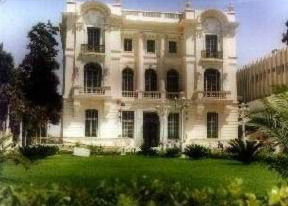 The museum was moved to the Prince Amr Ibrahims palace in Zamalek, Cairo, in July 1971. After remodeling, the museum was moved back to Mr. Khalils palace in September 1995.